FALL RIVER — Jenelle Camara looked like a regular teenager as she texted and looked through her iPhone on Wednesday afternoon. But Camara, 17, of Fall River, was preparing to undergo another intense round of chemotherapy to fight the aggressive cancer that has targeted her spinal cord. “Cancer never goes away, unfortunately. Jenelle is going to have to fight this fight for the rest of her life,” said Jenelle’s mother, Laura Eaton. On Wednesday, Eaton’s family, which like many others in the same situation is facing a serious financial strain, received some much-needed assistance from a charity devoted to helping relatives of children diagnosed with cancer. The Braintree-based organization Cops for Kids with Cancer awarded Laura Eaton and her husband, Joshua Eaton, with a $5,000 check to help them make ends meet as Jenelle undergoes treatment at Hasbro Children’s Hospital for Ewing’s sarcoma. Laura Eaton said the money will help her and Joshua pay their mortgage for about three months. The check presentation was made at the Fall River Police Department by organization Chairman Robert P. Faherty, retired superintendent-in-chief of the Boston Police Department. Faherty said his organization, to date, has given money to 365 families. 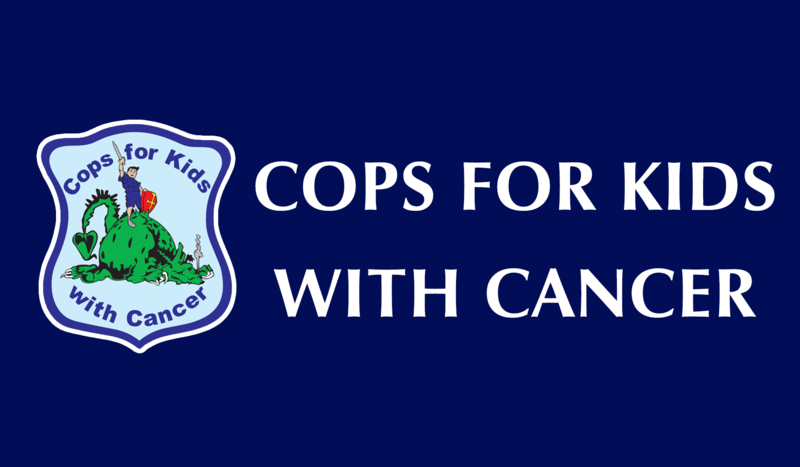 Cops for Kids with Cancer raises money through different events that include 5K road races, dinners, comedy nights and motorcycle runs. “We’re always doing something to raise money,” Faherty said. Camara, who has two sisters and is a former B.M.C. Durfee High School cheerleader, woke up on Jan. 1, 2014, unable to walk. After more than a year of tests and radiation treatments, she was diagnosed with Ewing’s on Jan. 21. Chemotherapy began the next day. Camara has undergone surgery to remove the tumor, but the cancer is aggressive and has returned. Camara has difficulty with physical activity and requires frequent blood transfusions. She also spends weeks at a time in the hospital. She receives occasional private tutoring when she is home and able to concentrate. “I feel like her whole life has been taken out from under her,” said Laura Eaton, who credited the community’s support with sustaining her. The family has also received thousands of well-wishes from people around the world who have visited a Facebook page entitled “Pray for Nelly,” which is Camara’s nickname. A fund to help the family has also been set up at St. Anne’s Credit Union. Cards and prayers can be sent to “Pray for Nelly” at P.O. Box 2691, Fall River, MA 02722.